C/ Gavina, 4, 07015 Cala Mayor, Spanje. 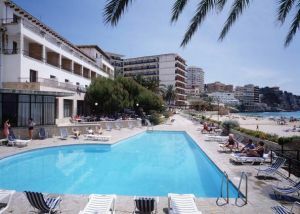 This small, traditional Majorcan style Hotel is ideally situated on the beach, in the resort of Cala Major, making it ideal for a family holiday. 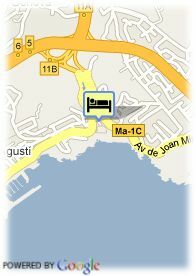 All bedrooms have private terrace, bathroom, telephone and are furnished with traditional Majorcan furniture. Most of the room have sea view.